2) your source may only include a test description or review, not an actual copy of the test. Published tests are commercially available for purchase. These measurement instruments have established validity, reliability and norms and typically come with test manuals and testing protocols. In many cases only qualified or professionally trained individuals can purchase copies. The HSU Library does not collect restricted tests. 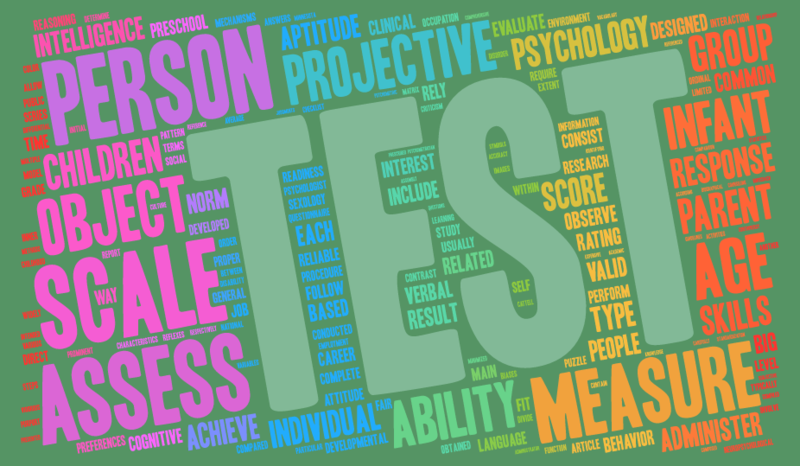 Unpublished tests are found in the scholarly literature of psychology and have typically been developed by university researchers or other professionals, government agencies, or nonprofit organizations. Copies of these tests may sometimes be found as appendices to journal articles, dissertations, books and other research reports. While access to these tests is not restricted, ethical conduct requires that these tests should be used only with the permission of the instrument's author. Copies of tests that are not available in publications in the HSU Library may be borrowed through Interlibrary Loan. The HSU Psychology Department Psychological Test Library (BSS Room 411) has copies of some published and unpublished tests. Access to and use of these and other tests is governed by standards developed by the American Psychological Association. For additional background information see Finding Information about Psychological Tests from the American Psychological Association.